Absinthe Hangover Symptoms: How To Cure An Absinthe Veisalgia? 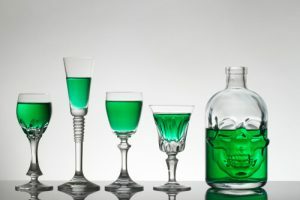 Absinthe Hangover Cure: Does Absinthe Give Veisalgia? When it comes to the widely discussed topic of the absinthe hangover, there are some different viewpoints out there. There are opposing reports on the matter. Some people talk of this being the worst type of negative effects that a person can get, while others state that when drinking “green fairy” they experience almost no crapulence at all. In actuality, absinthe hangovers are dependent on how much a person consumes and the type that they drink. This article will look at the link between green fairy and hangovers in more detail. What are the causes of absinthe veisalgia? What are the symptoms of absinthe hangover? How much absinthe will cause a hangover? 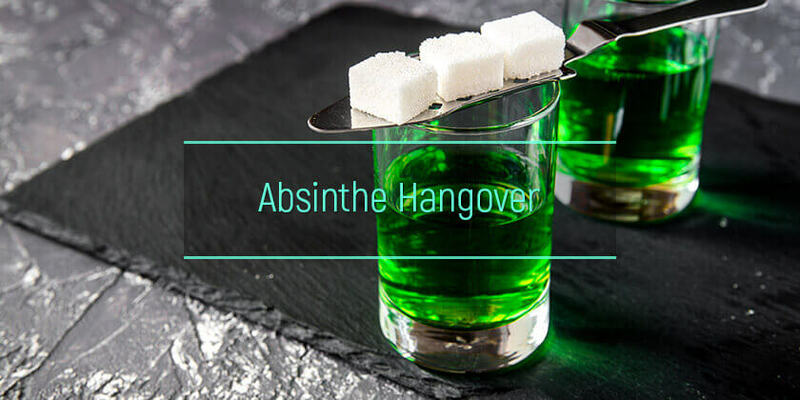 How to treat and prevent absinthe hangover? The truth of the matter is that while there are still believers that absinthe gives no hangover, most of the evidence points towards there being a direct correlation between drinking excessive amounts of this type of spirit and fairly heavy crapulence. Looking at what causes a hangover will show that green fairy being a spirit that has a high percentage of alcohol makes it a perfect candidate for causing hangovers. As with a wide variety of different drinks that have a similarly high proof, the green fairy can be enjoyed moderately and in most cases will result in no negative symptoms whatsoever, when it is consumed in high quantities though the effects can be quite different. The answer then to the question of whether or not absinthe causes these negative effects is that it depends on the amount a person consumes as well as their tolerances to alcohol. But yes, just like any other high proof alcohol, it can cause a horrible morning after. The causes of an anise drink veisalgia are not that different from how other types of alcohol cause heavy mornings after. So the reasons behind this horrible list of symptoms that occur the morning after a heavy drinking session are the same as a gin and tonic hangover. These feelings or symptoms are the body’s way of telling a person that they have drunk too much the night before. But what is the body trying to say and how does this type of spirit affect the body causing unwanted feelings? As expected, these effects on the body come together to form what is known as a hangover after absinthe. But if a person does not have an absinthe hangover cure then what exactly are the symptoms that can be expected during a heavy morning after? There is no factual evidence to suggest that a certain amount will lead to a heavy morning after while less than that will not. What is known though is the various factors that can raise a person’s chances of getting the after effects. So what are these factors that can be the difference between a rum and coke hangover or no negative effects at all? When trying to find out which is worse between the symptoms felt after drinking pure drink and cocktails, it is important to remember that it still depends on the factors mentioned above. However, generally speaking, if the same amount is consumed then the heavy morning after from pure absinthe should be less than one from drinking cocktails. The reason for this is that a cocktail is a drink which combines at least three ingredients. In many cases more than one of those ingredients are alcoholic, a Long Island iced tea, for example, contains five different types of spirit. So even of the manufacturer claims that it is a vodka that doesn’t give hangover, the chances are the feelings the next morning will still be severe. The reason that many people ask how to cure an absinthe hangover is that in some cases it can be quite dangerous. If levels of hydration are kept low and a person has not eaten sufficiently then consuming large quantities of a green fairy can lead to a dangerous effect with all the negative symptoms mentioned above. This type of spirit has an extremely high alcohol content, and therefore heavy consumption will lead to symptoms that no medicine, even one working as a wine headache cure perfectly, will be able to help. The specific alcohol abuse treatment will be required in such cases. The detox from alcohol will be the first step to cope with the crapulence. The next one may be choosing the program for alcoholism treatment. The best way to prevent the unwanted symptoms attached to drinking green fairy is to stay hydrated, eat well, do not mix drinks and moderate the consumption. The prevention is the best cure, however, in case the after-effects of overindulgence in drinking have already appeared, it is better to have a good sleep, restore the water balance with electrolyte drinks, and eat some carbohydrates. AlcoRehab » Hangover Symptoms, Causes, And Side Effects » Hangover And Mixing Alcohol: Different Types Of Crapulence » Absinthe Hangover Cure: Does Absinthe Give Veisalgia?